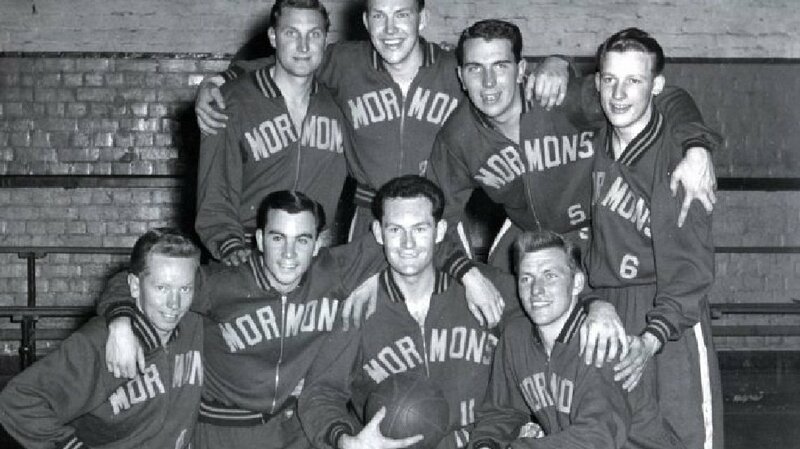 1954 Mormon Yankees team was a group of LDS Church missionaries in Australia. Not quite angry Church Ball, but you get the idea. Before joining the Church I had this image in my head of Latter-day Saints as mild-mannered people who couldn’t harm a butterfly. That image was shattered the first time I stepped foot on a Church basketball court. Welcome to Church Sports™. You know what I am talking about – that moment when you realize the quaint, soft-spoken Bishop of your ward becomes the Incredible Hulk on the court. And all while still wearing a shirt an tie, because he just happened to be finishing up an interview while a pick up game was being played in the gym. Hopefully, unlike the Incredible Hulk, he leaves his clothes intact when he transforms and resists the urge to smash, otherwise the next Sunday could be really awkward. We like to joke about how church sports are the only fight that begins and ends with a prayer. But even though we lovingly and jokingly refer to church sports in such a way, there are many who have sworn off participation in church-led sporting leagues for this very reason. So now, let us gather ’round and analyze a few popular church sports. 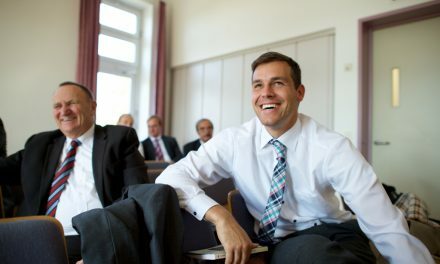 One day your Elders Quorum President is teaching about brotherly love, the next he is throwing cheap shots in the paint. Before you know it, you are a living a line in a Ke$ha song, yelling, “Timber,” as your face becomes best friends with the polished hardwood. Welcome to Church basketball, where friends, enemies, and frenemies are made. 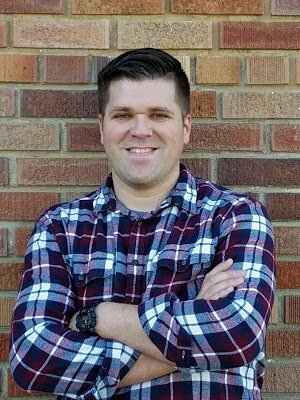 Church ball has been the source of much analysis over the years, and features so heavily in our culture that there’s even a bad comedic film about it. For the sake of full disclosure, I must confess that I’ve been officially banned from all playing of said basketball, but not because I’m a beast on the court. In my head I look like Michael Jordan, but when I play, the results are more like Michael Scott. Really, I’m just injury prone, and my wife doesn’t want to deal with my whining. You laugh, but several of my injuries have come from playing pickup games or reffing basketball or fixing a broken trampoline. But my woes pale in comparison to those of some of my friends and family. My brother-in-law has taken it on the chin – literally. He recently had to get stitches after having his face cut open from a hard foul. He also once broke his hand. At church ball. Other friends have torn their ACLs, Achilles tendons, and broken ribs. At church ball. It makes you wonder if there should be an added part of your insurance just to cover church sports injuries, or if membership in the Church on its own represents a preexisting condition. Beyond the danger of possibly ending up in something that resembles a WWE match, many claim that these sports are great fellowshipping activities. That certainly has the potential to be the case, at the very least. However it does require us to ask ourselves if our bellicose activities on the court are opening up new relationships or merely scaring people away. To be clear, I’m not accusing all church ballers of being a Dennis Rodman on the court (I just dated myself), but if we joke about it in our culture, you have to think their is some truth to it. Frost covered the early fall ground. I lined up with my ward teammates, prepared to win the game against the rival ward. The ball was snapped and I zigged across the field, trying to get open for the pass. Suddenly, out of nowhere a brick wall appeared in front of me. No, it couldn’t be a brick wall. Walls don’t move! Then I hit the ground, my head slamming into the frozen earth. I blacked out briefly. “Did anyone get the number of that wall?” I asked. That was the first concussion I had ever received. In my mid twenties on the grade school field, playing stake flag football. Sure it could happen to anyone, but remember how I said I am accident prone? If stake basketball wasn’t enough to scare me off, then surely flag football would, and yet I was back next season, a glutton for punishment. Flag football is a great way to get out and stretch the old hammies, as well as for middle-aged men to attempt to relive the glory of their high school days. The only problem, of course, is that most of us don’t move the same as we did in high school, or recover as quickly. As is noted the next day at church when a large majority of the Elders Quorum comes limping into Sacrament meeting. Thank goodness church is now an hour shorter. But it isn’t just the adults that engage in the risky behavior that is Church Sports™, the youth have plenty of opportunities to maim one another all in the name of a church activity. As a youth leader I’ve been lucky enough—or unlucky enough, depending on who you ask—to be involved in youth sports. I know there are a million different games and sports that are played at mutual, and I’d love to hear what others are doing. As for me and my house, we live and die by the rules of chair soccer and gaga ball. What is chair soccer, you ask? Just an opportunity to get drilled with a ball in the confines of a carpeted gym. Sounds awesome doesn’t it, sort of like jiggly ball? The rules going something like this. The group assembles chairs in a large circle. The ball is tossed in the middle and play begins. Your job is to protect your chair from getting hit by the ball. You can move around the circle and go after the ball, but that also means you leave your chair unprotected. If you chair gets hit, you sit down and you are out for the rest of the round. While the balls are generally supposed to be kept below waist level, sometimes a wild kick happens. I’ve been on the receiving end of some of those wild kicks. More than once tears have been shed. And not from the youth. Let’s just say I’m lucky my child bearing days are completed. Also, remember I just said this is played in a carpeted gym. Just imagine the fun if you get caught playing on the freshly lacquered court at your local building! Gaga ball is generally played in a giant octagonal pit, but since we don’t have one readily available at church, tables laid on their sides serve the purpose. Everyone gets in the gaga ball pit, the ball is tossed in the air. The kids call out “Gaga, Gaga, Ball,” and the game is on. The purpose of this game is to hit the ball at the feet of your opponents. You can only hit the ball once at at time. If your feet get hit, you are out. If you hit the ball out of the pit, you are out. This is generally a quick game, but the youth love it. So much so that during our last encampment, the gaga ball pit was one of the busiest activities. To the untrained observer, this may look like nothing more than a mosh pit, however it is a highly addictive game for young and old to test their mettle. This mutual sport may or may not have been banned in your ward, depending on the number of head shots that have occurred. Dodgeball is not only a great cardio workout, but an opportunity to see just how well the old rotator cuff is working, as you chuck balls at each other. If you’re fast enough or good enough at catching, you can last quite a long time. Because of the chance for bloody noses, one ward I know switched to throwing marshmallows, which was all fun and games until someone ended up with a black eye. From a marshmallow. No, this wasn’t a youth, this was pure adult-on-adult assault with a deadly food. There are so many other games from the standard volleyball, to innertube water polo, all with their own quirks and unique chances for injury. Now lest you think I am calling for and end to sports and for us to live in a bubble, I’m not. I think we should be active for our health and well being. Even with all their potential for bodily harm, I don’t see Church Sports™ going anywhere anytime soon. 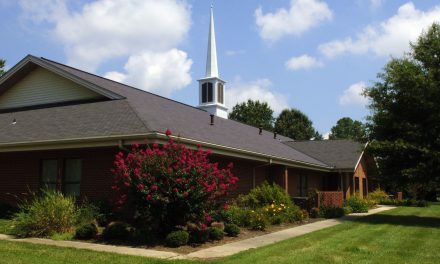 They really do bring members of the ward and stake together and they are a way to invite members not of our faith to participate in our activities. Assuming we don’t accidentally kill them in the process. And if somehow Quidditch ever makes the cut for new sports, I may just have to come out of retirement to play. 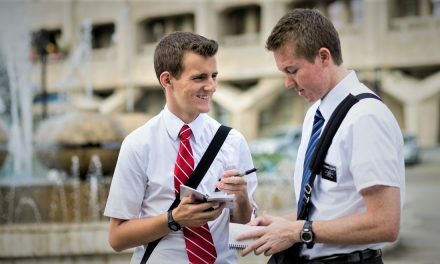 The Convert Files: Does a Mission Define You as a Latter-day Saint?